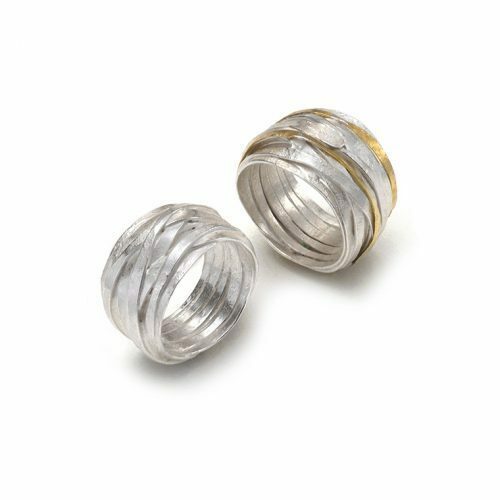 hammered and textured silver wire is wrapped and woven before being set with 3 gold centered acorn cups, these wrap studs are beautifully simple and elegant. 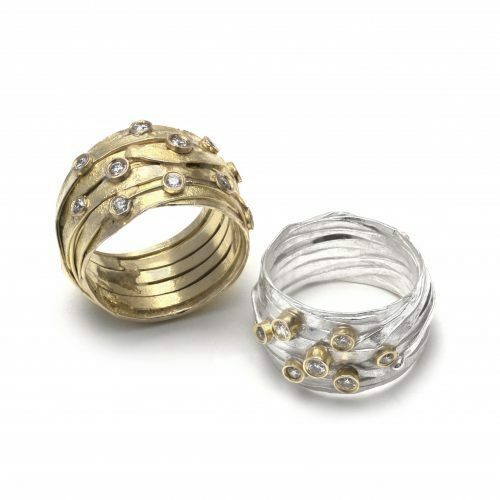 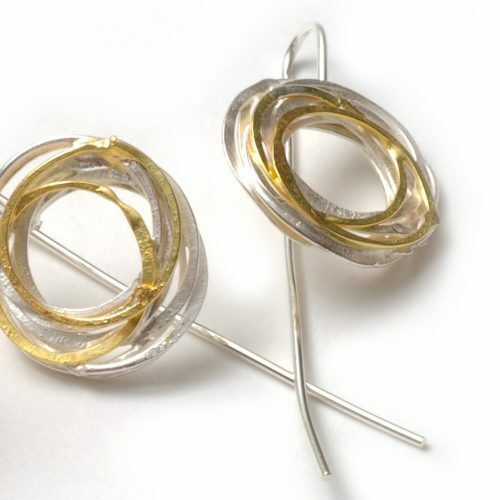 sterling silver and 18ct gold, 15mm diameter. 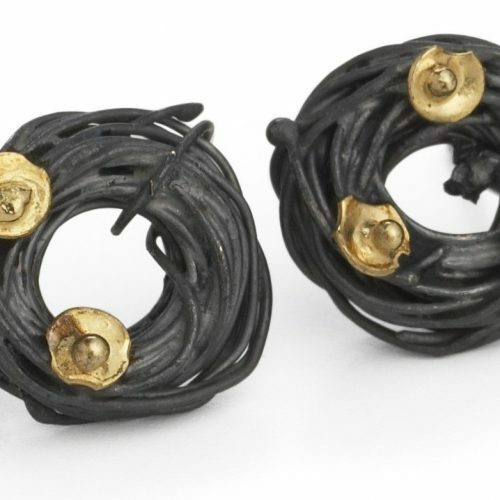 These earrings are a variation of my classic wrap range, inspired by birds nests and natural structures, the new collection features simpler textured wraps incorporating both silver and 18ct gold. 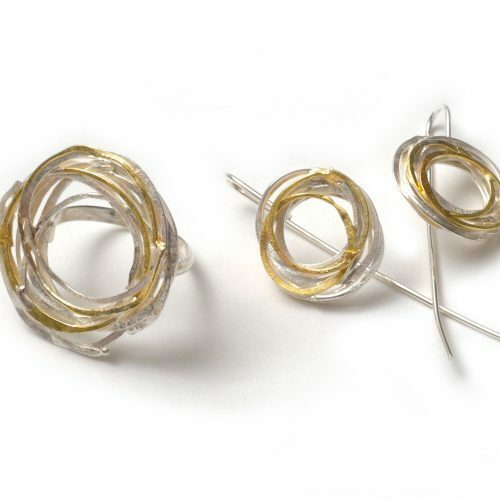 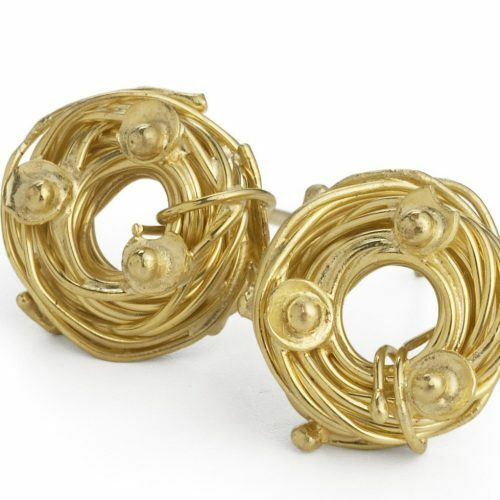 Individual textured silver and gold circles assembled into a wrapped nest, these wrap earrings are beautifully simple and elegant. 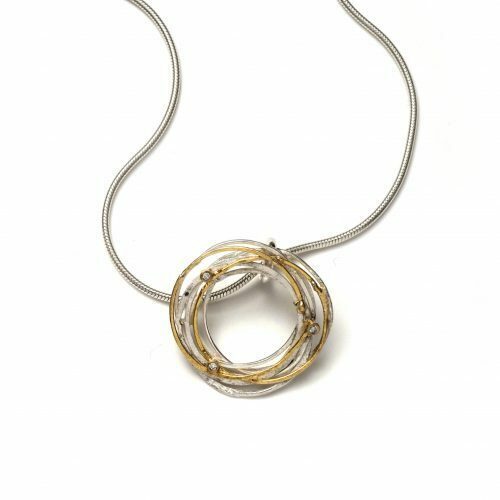 sterling silver and 18ct gold, 25mm diameter, wires are approx. 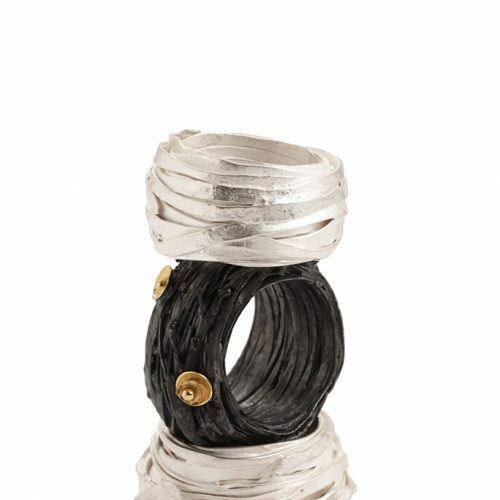 60mm long. 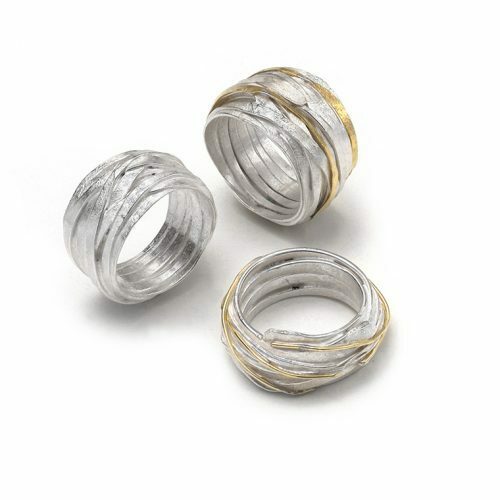 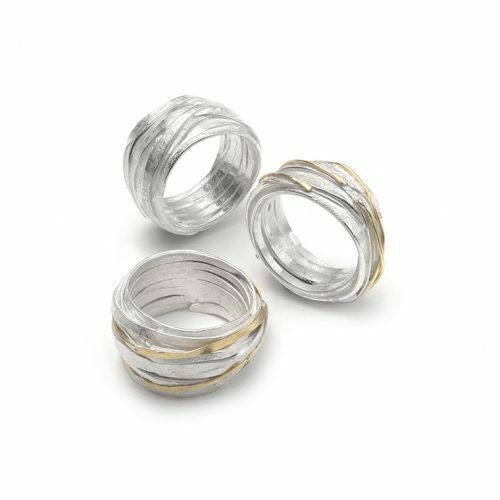 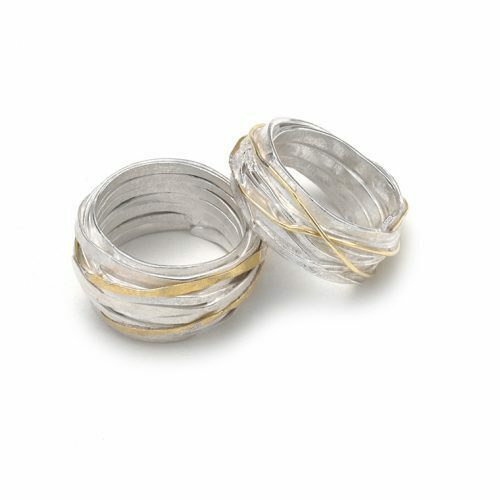 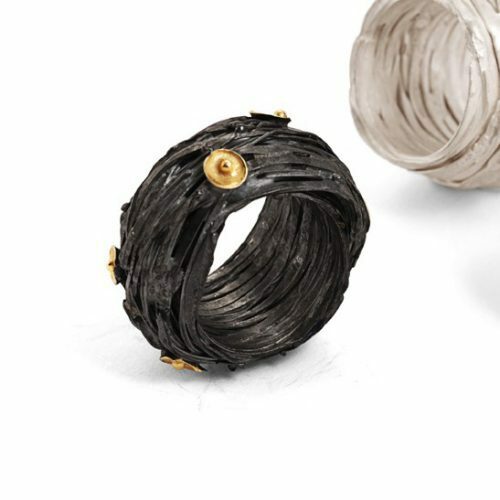 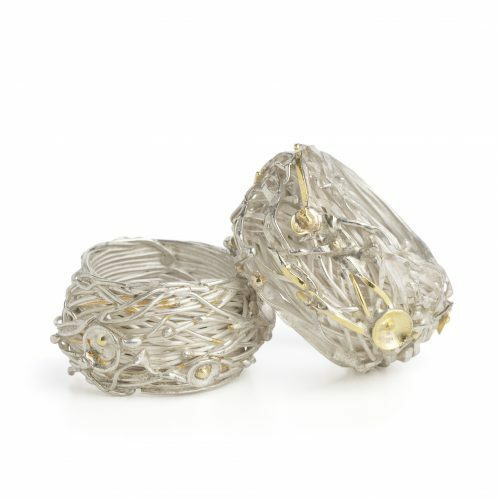 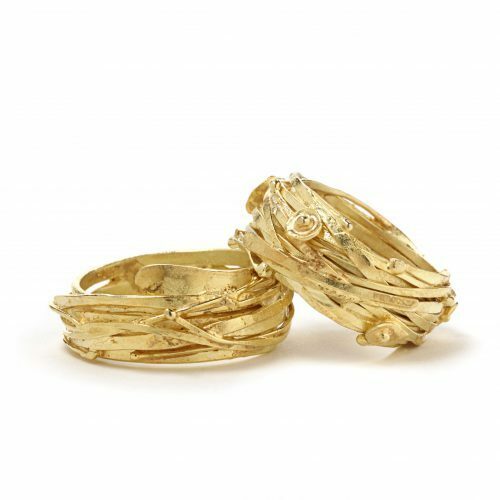 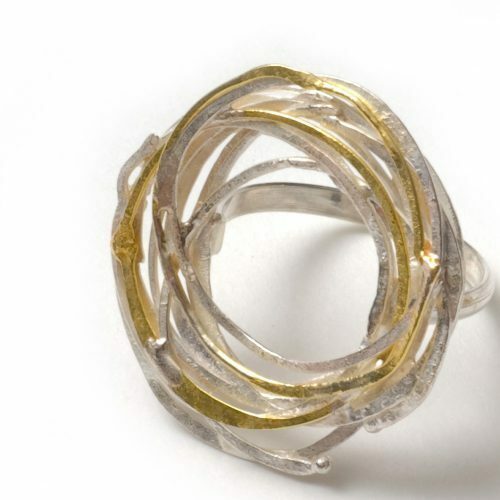 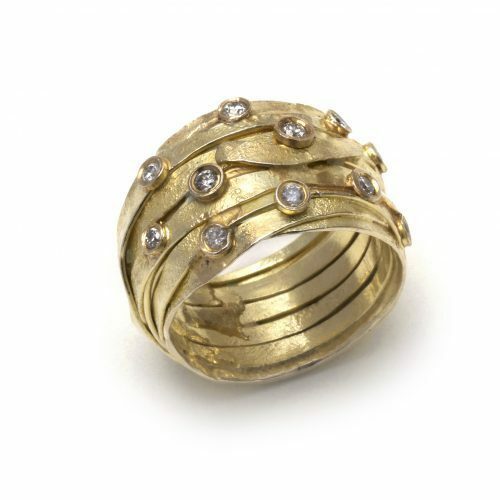 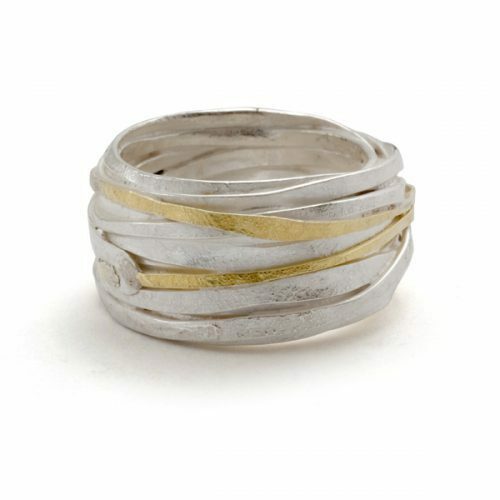 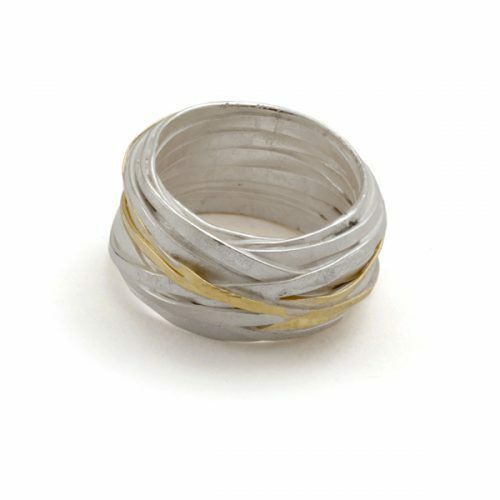 This ring is a variation on my original wrap range, inspired by birds nests and natural structures, these wraps have a light tactile quality. 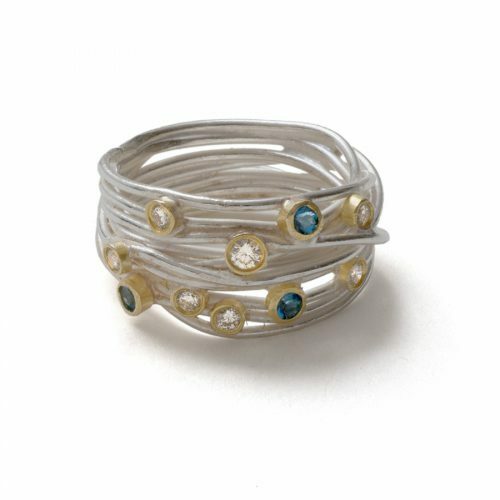 This beautiful ring is crafted from textured sterling silver wire and set with 3 aqua marine and 7 round brilliant cut diamonds in 18ct gold. 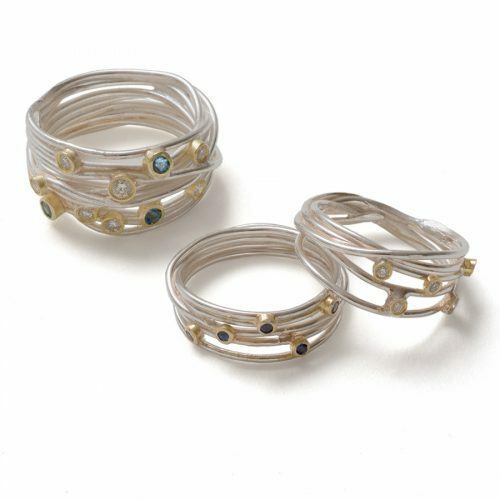 sterling silver wire, 18ct gold , 2.5mm aqua marine and 2mm aqua marine x 2, 3.5mm diamond and 6 2mm diamonds, 0.35ct diamonds. 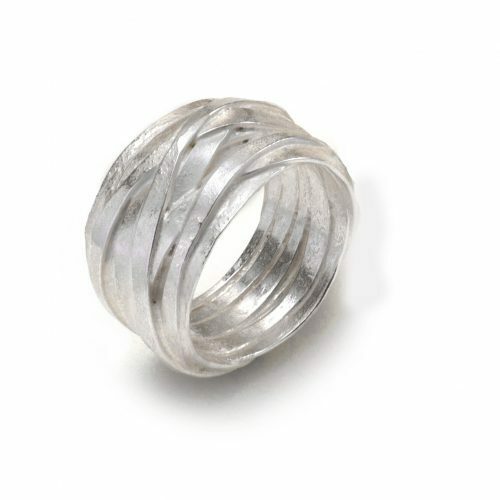 15mm wide x 2.2mm thick. 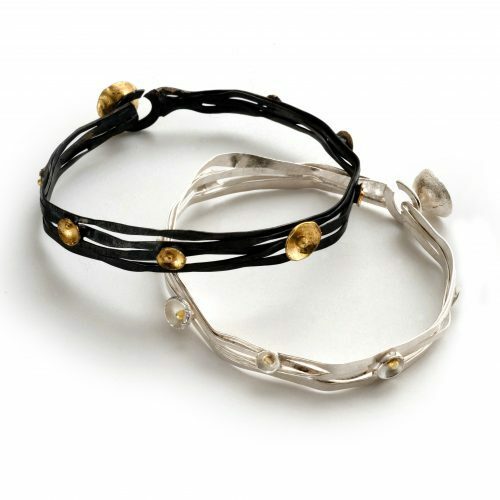 Oxidised hammered and textured silver wire is wrapped and woven before being set with 8 gold acorn cups, these bracelets are beautifully simple and elegant. 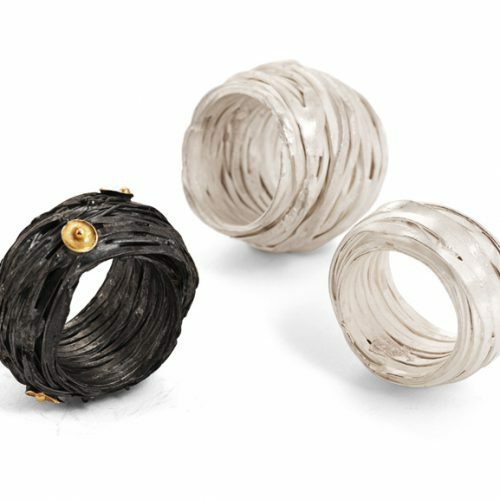 oxidised sterling silver and 18ct gold, approx. 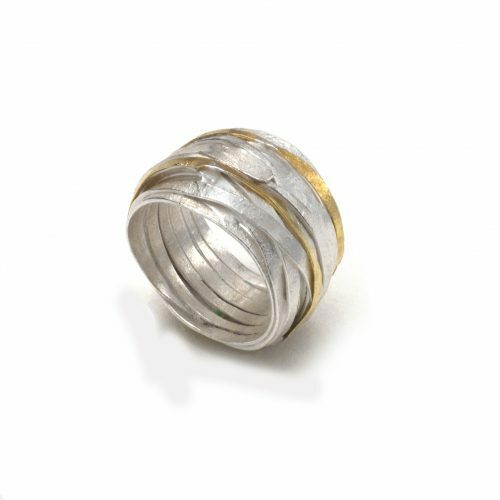 65mm diameter and 8mm wide. 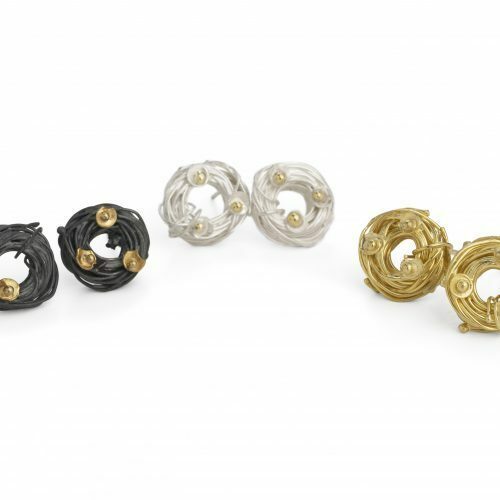 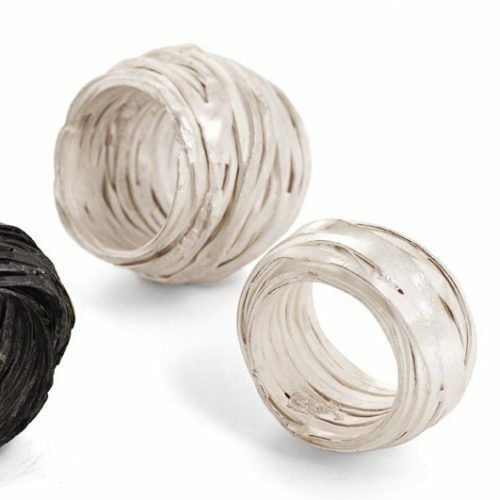 Oxidised hammered and textured silver wire is wrapped and woven before being set with 3 gold acorn cups, these wrap studs are beautifully simple and elegant. 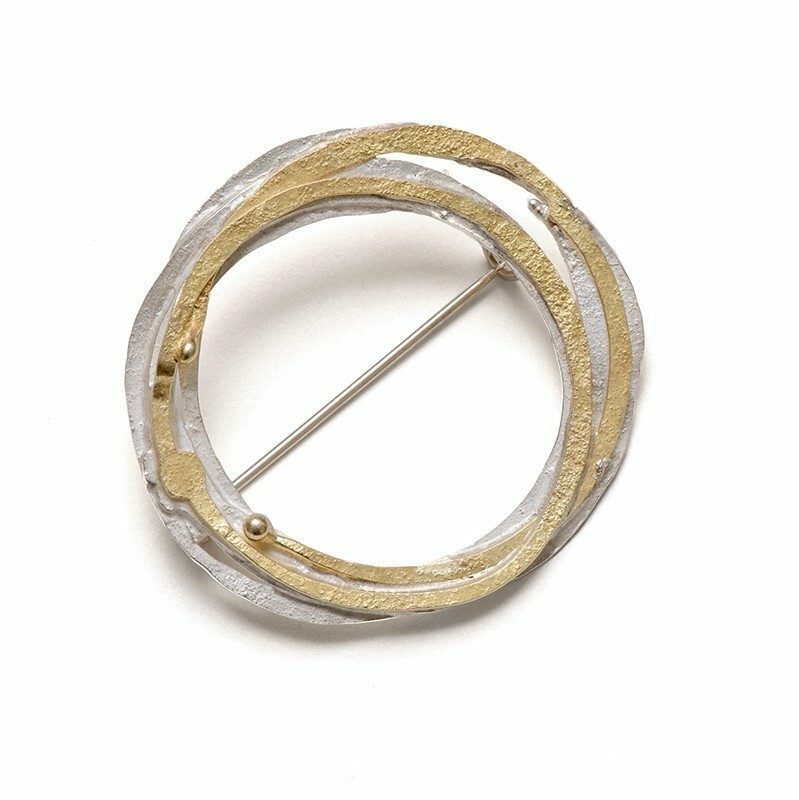 oxidised sterling silver and 18ct gold, 15mm diameter.